UDGAM is the annual socio-cultural fest of National Institute of Technology, Sikkim. It brings to you three days of exaltation and promises to have you forget all your worries through its exhilarating Rock shows, liberating classical performances, modish fashion shows, brain-storming quizzes, non-stop DJ dance floors and many more. These events provide a platform for the young brains to showcase their talents. There are gaming events too to recognize your real quest for perfection. Also Fiesta nights witness the presence of renowned celebrities from all over the country. The fest is intended for acknowledging the potential of young technocrats and is all set to help them for exploiting their skills to experience creativity and become innovative. 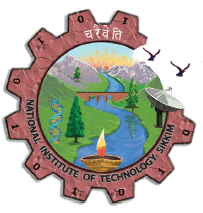 National institute of technology Sikkim is a premier technical institute situated in the Indian state of Sikkim. It is one of the 31 National Institutes of Technology and has been declared as “Institute of National Importance” by Government of India.It is an autonomous institute under the aegis of Ministry of Human Resource and Development,Government of India. It started functioning from August 2010. The SUPER Computer PARAM KANCHENJUNGA in NIT SIKKIM is the fastest Super Computer amoung all NIT’S in india. Every year NIT Sikkim gives highly talented and skillful engineers to the nation. Each and every student experience an ingenious method of teaching by the highly qualified faculty here in NIT Sikkim. This teaching method makes the students groomed for the competitive and evolving world of technology. The tagline aptly suits the cultural carnival of Udgam 2k17, the annual cultural festival of NIT SIKKIM. It is the event with many striking performances from the various artists from every nook and corner of the world. The audience feel mesmerized and get hypnotized with the spell binding performances that are showcased at the cultural extravaganza. Thus it is appropriate in saying the event is of happiness and joy with no boundaries.